The look and movement of the authentic flax dancing kilt of the Maori. Skirt is made of black yarn and heavy white plastic tubes attached to a black tie waistband. Fits waist up to 40" and is 20" long. The look and movement of the authentic flax dancing kilt of the Maori. 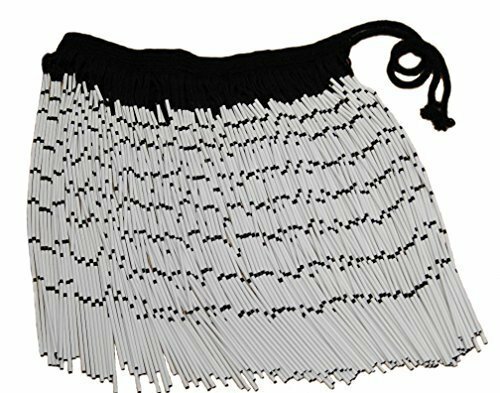 Skirt is made of black yarn and heavy white plastic tubes attached to a black tie waistband. 20" long skirt fits waist up to 40".